UBC associate professor of math, Rebecca Tyson used computer modelling to determine pheromone baiting isn’t the best solution to control the mountain pine beetle. 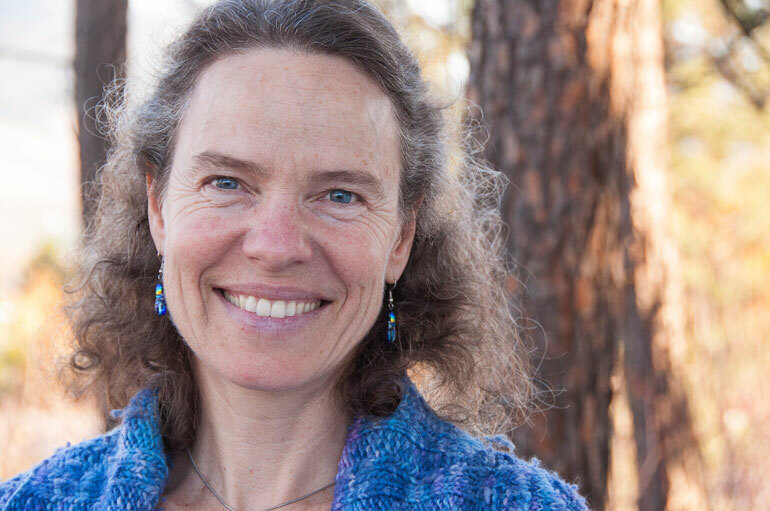 A study by Rebecca Tyson, an associate professor of mathematics at UBC’s Okanagan campus, used mathematical modelling to examine several mountain pine beetle management strategies used in Banff National Park. The two-year simulation, which included then PhD candidate Shaun Strohm and University of Calgary professor Mary Reid, compared four separate management strategies: no management (monitoring only), pheromone baiting, tree removal, and finally, pheromone baiting combined with tree removal. Other management strategies are prescribed burning and clearcutting—which Tyson says cause severe changes to the landscape and have not been proven to stop the spread of the beetle. “What our study found is that where the beetle population is low, the pheromone is actually attracting more beetles and thus helping the beetle population increase,” says Tyson. Tyson explains that each summer, the adult beetle emerges from a tree and looks for a new one where it will nest. Once that tree is found, the beetle emits a pheromone to attract other beetles to the same tree. Other beetles arrive, release more pheromone and the tree is attacked as adult beetles drill into the bark and make tunnels where they lay eggs. By the following summer, the eggs have hatched and turned into adults, and that tree is dead, with the needles turning red. The cycle continues as the beetles move to a neighbouring tree. Under normal population control circumstances, when a tree is baited with pheromone, it is cut down in winter when the larvae are trapped inside, explains Tyson. Crews also search for other trees near the baited one, and all trees identified to contain beetles are removed. However, her modelling indicates that pheromone baiting is not working precisely the way it was expected. Tyson explains that when the beetle population is low, the beetles actually have a hard time finding each other in the first place. Additional pheromone, placed by humans, help those beetles find each other and attack a tree—the baited one. Tyson describes the mountain pine beetle as an endemic pest capable of killing entire stands of mature pine. And while the beetle has a short lifespan, climate change and warmer winters have helped the population increase during an epidemic that began in the late 1990s. Simulation modelling such as the method Tyson used with the mountain pine beetle can be used to help predict the influence of management strategies without creating harm to the landscape.